Gems or Diamonds are in-game currency that will let you purchase premium items in the game. 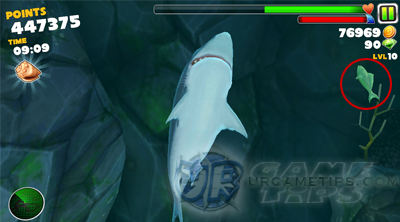 These premium items can make your game easier, will make you shark look cool, and more! Unfortunately, Gems/Diamonds aren't easy to get like Coins because you will need to purchase them with real cash to get a good amount, but there are ways to get free Gems/Diamonds! Read on to learn more. 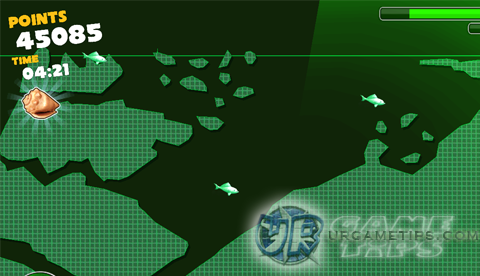 - The fastest way to earn Gems or Diamonds, is to hunt all Gemfish around the map! 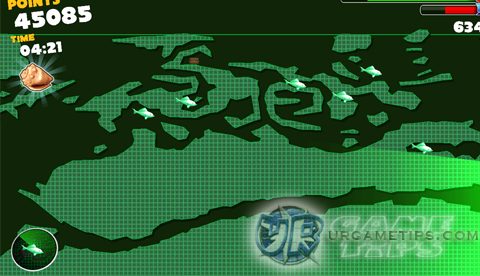 - See screenshot above for sample Gemfish. 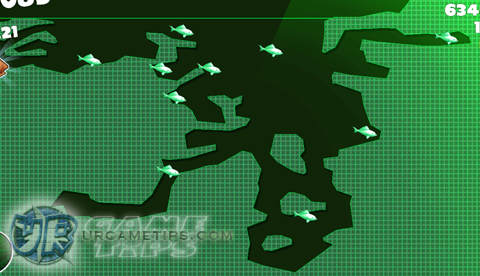 the map (this area is full of Gemfish!) Make sure that you have the "Basic Map" item too. if they are not in there, just try the other locations. just let your shark die. Start a new game run again, but this time, do not go back to where you found those previous gems/diamonds because it is unlikely to appear at that locations again. did, then it is now ok to revisit those previous Gemfish locations. because it has the least number of Gemfish. - Don't forget to claim your Daily Rewards! You can get 5 there too! 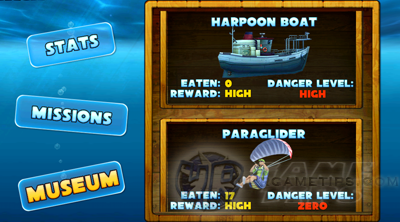 - Look for Paragliders then use your Boost to jump out!. Reach and eat them all! man is very dangerous so make sure to get a good amount of energy first. - They both do sometimes drop Gems or Diamonds! too. Just destroy them for a chance to get one! - Note: These methods are optional and it will require an internet connection. - Go to the "Evolve" screen then tap the Gem/Diamond at the upper right corner. - Like their Facebook Page to earn 5 more!